Lecta has been recognized by WWF for disclosing its ecological footprint in the WWF Environmental Paper Company Index 2013. Twenty-five of the world’s most important pulp and paper manufacturers have participated in the WWF Environmental Paper Company Index 2013, in which they voluntarily disclose the ecological footprint of 40 product categories, more than doubling those evaluated in the 2011 index. The companies recognized for their transparency in the launch of the WWF Environmental Paper Company Index (EPCI) 2013 together produce 14 per cent of the world´s paper and board, respectively 28 per cent of the world’s graphic paper, 29 per cent of the world’s newsprint, 14 per cent of the world’s tissue and 6 per cent of the world’s packaging. They also produce 14 per cent of the world’s pulp. WWF’s projections show that higher incomes and a growing population will increase demand for many commodities, including food, fuel, timber and fibres (1). Forest-based industries, which rely on resources that can be renewed, will be key to conserving forests in an age of resource scarcity and land-use competition. 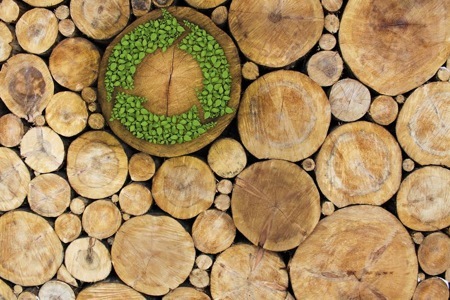 Even though the paper industry has shown some progress in recent decades, the globalized nature of the industry demands sector–wide, ambitious environmental goals for responsible sourcing, production and use of its products and maximum transparency. The WWF Environmental Paper Company Index can assist the pulp and paper industry on its path of continual improvement. Lecta is one of the largest manufacturers of coated woodfree paper worldwide and a leader in the European specialty papers market. It is made up of three companies with a long tradition in their home markets: Cartiere del Garda in Italy, Condat in France and Torraspapel in Spain. Currently, Lecta has eight mills with a total production capacity of approximately two million tons and is recognized worldwide as a reliable, flexible and customer-focused supplier. Lecta is firmly committed to protecting the environment. All of our manufacturing sites have secured the strictest environmental certifications – ISO 14001 and EMAS – and PEFC™ and FSC® chain of custody certification, thereby guaranteeing the wood and pulp used as raw materials have been sustainably sourced. Lecta has also successfully completed audits for ISO 50001 energy efficiency and ISO 9001 quality certification. Lecta’s participation in the WWF index to strengthen company efforts on transparency is part of our commitment to social responsibility and environmental sustainability, in keeping with our mission and corporate values. To learn more about Lecta’s activities as a socially responsible company, please visit www.lectasustainability.com.